With an imprisoned serial killer for a father, rancher Ethan Colton never planned on continuing the tainted family name. But six months after a night of passion with a woman from his past, Ethan discovers he's about to be a dad. 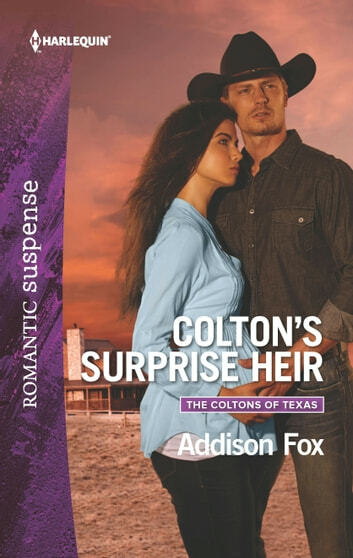 Beautiful, independent Lizzie Conner turns up at his Texas ranch expecting nothing but protection from the guarded cowboy. A stalker is fast on her trail, leaving creepy gifts and notes threatening her and the baby. Now all that matters to Ethan is keeping his unexpected family safe-and out of a killer's clutches.